Vivo flagship new V11 Pro in India and V11, V11i in Thailand, the company has now new flagship launched the X23 smartphone in China. This smartphone in the look is exactly the looking same as Vivo V11 Pro. 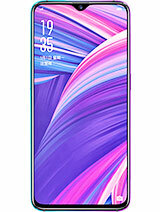 This smartphone has features such as in-display fingerprint sensor, dual rear camera, watermark notch, super AMOLED display. The phone costs 3500 Chinese Yuan i.e. about 36,800 rupees. There is no any official information at this time when this phone will be launched in India. Vivo X23 has been introduced in only one variant color. It has 8 GB RAM and 128 GB internal storage. It has been introduced in three color variants Phantom Purple, Phantom Red and Blue. 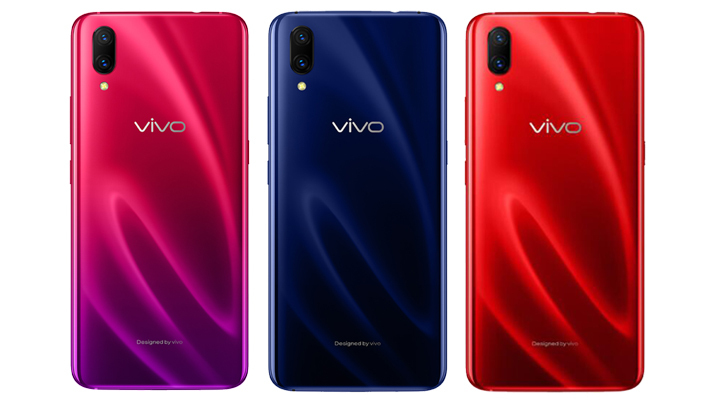 Soon the company will present Vivo X23 under fashion editions with Purple and fashion orange color variants under special editions. The phone has a 6.41-inch Super AMOLED display with a pixel resolution of 1080x2340. Its aspect ratio is 19: 9. It has been provided with IR Face Unlock support. This phone is equipped with Qualcomm Snapdragon 670 processor. Information about whether its internal storage can be increased through a MicroSD card is not yet known. The phone has been introduced with the dual turbo acceleration engine which improves the performance of the phone. The phone has a 3400 mAh battery. The phone has a dual rear camera for photography. Its primary sensor is 13 megapixels with f / 1.8 aperture with 12 megapixels and secondary sensor f / 2.4 aperture. The phone has a 12 megapixel front camera with f / 2.0 aperture. Its camera is equipped with many features like AI Beauty, AI Portrait. This phone's shipping will start in China from September 14. If this phone launches in India then its collision can be from OnePlus to 6 in case of price. #LuHan debuts fresh new hairstyle at a Vivo X23 press conference! This phone has a 6.28 inch display with an aspect ratio of 19: 9. This phone is equipped with Qualcomm Snapdragon 845 octa-core processor and 6/8 GB RAM. The phone has got 20 megapixels and 16 megapixel dual rear camera setup for photography. Its rear camera is equipped with features like optical image stabilization, electronic image stabilization and 480 frames per second slow motion video recording. This will also allow 4K video recording. At the same time, its front camera is 16 megapixels. Powering the phone will have 3300 mAh battery.